Indie game studio One More Story Games is dedicated to bringing us high quality, narrative-focused games. With their game engine, Story Stylus, anyone can write a game and share it. The company takes more of a book publishing approach to writing games, where it’s possible for anyone to use their engine and publish a game with it. Their games right now are primarily sci-fi and mystery, but the company hopes to expand their offerings to any genre writers can think of. One More Story recently announced that they will be adapting one of Charlaine Harris’ (of True Blood fame) mystery novels into an interactive narrative game. The game will follow the events of the first Lily Bard novel, Shakespeare’s Landlord, and let players figure out the mystery of who is trying to frame Lily for murder. The team at One More Story hopes to make the adaptation a collaborative experience, and fans can follow the development of this game at http://www.lilybard.com/. We talked to Chief Operating Officer Jean Leggett about the announcement, the importance of story-driven games, and the democratization of game writing. 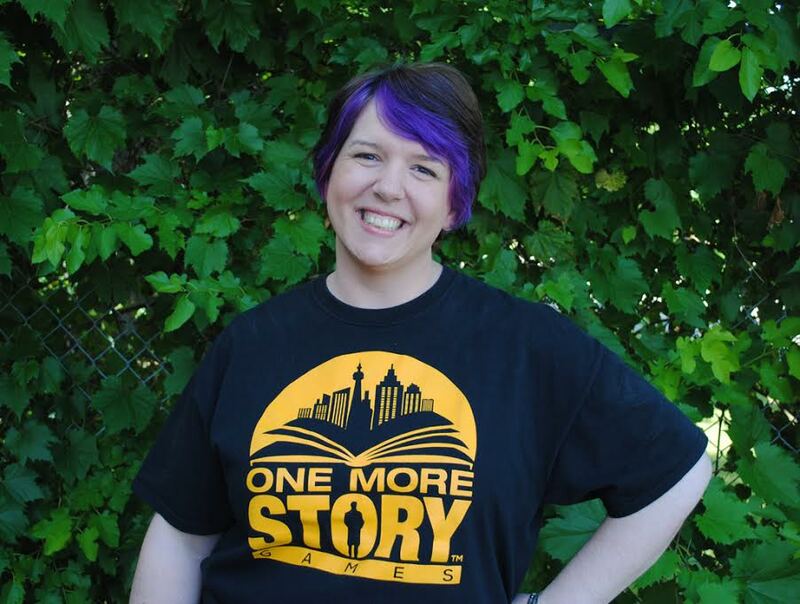 TMS: Congratulations on getting Charlaine Harris, that’s a pretty big deal! Jean Leggett: Thank you! We’re pretty pumped. We met her in November 2014, and we sort of approached her with the idea and she was open to it. And then it’s taken this long to get that through to her agent, and get that all sorted out, We’re really, really excited. TMS: How would you describe what you do at One More Story Games? Jean Leggett: I would definitely describe it as narrative focused storytelling games, because when you say text-based games people tend to think of interactive fiction, which is more like “take book,” “go left,” “open door”—that kind of thing, whereas we have a much more graphical interface. And it’s much more visual. I guess the industry is calling it Story Games, which still feels to me a little bit on the awkward side. TMS: Yeah, I feel like in the industry there’s been a resurgence of story-based games, but the industry doesn’t know what to do with it yet. So I wanted to talk about how a lot of the first PC games were very story-based and text based just because that’s what the technology could do. Why make text games and why make story-based games in 2016? Jean Leggett: I think that there is a resurgence in story telling. Like I’ve been listening to that whole phrase of storytelling, it seems to be getting louder for the last year and a half. Even sales and marketing people are focused on storytelling. And I’ve been playing games since I was eight, so 30 years now, and Paper Boy did not have a story to it, Contra did not really have a story to it, Tetris doesn’t really have a story to it, but they were fun games to play. I know for me, the kinds of games that I like and I think one of the reasons it’s becoming more popular is because you have more women playing games. And we care about characters, and we care about the events that happen in story, you know? TMS: Do you know who’s playing your games? Is there a certain demographic you’re trying to reach out to? Jean Leggett: So in terms of who’s playing our games, we’re not collecting information like gender or location. But that is something that people can opt into and we’ll have a better sense of that in the next six months to a year overall. I can tell you that in the games industry as a whole, women make up 48% of game players. And a lot of people don’t realize that. And on mobile, on tablet and phone devices, women make up 56% of players. So women are gravitating towards the more casual, the more social-oriented games. Not to say that women don’t play things like first person shooters, but you have a huge demographic that are just slowly coming into games, and that demographic is women over 50, believe it or not! And so what we’re hoping to do is to find that niche between the casual games that you would see on Facebook and that of a novel, so that you can still get a story-driven game, but get that in the half hour to one hour play-through. TMS: So you’re really kind of focusing on more of the trend toward shorter games than longer? TMS: So are the people who are currently writing your games now are they traditional book authors, are they all game designers or is it kind of a mix? Jean Leggett: It definitely is a mix. We have a couple of really veteran game designers with 15 to 20 years of experience and they’re saying, “You realize your engine could be responsible for the renaissance in storytelling!” And then we have a lot of authors. For the past two years, we’ve actually gone to a whole lot of writers conferences,aAnd the thing is there are a whole bunch of other game engines out there like Twine and Renypy, Gamemaker Pro and that kind of stuff. But they’re all focused on indie game developers. I’m sure there are going to be indie game developers who use our engine, there already are, but we’re really focused on writers, because first and foremost, it’s really all about the storytelling. And I think that the game industry has been so rapidly progressing in technology that they’ve forgotten that story matters first. I mean, you could go and watch a Pixar film, but if they don’t have a great story, you’re not getting anything out of it, right? So we work with everybody! It’s amateur to established writers. We went with Charlaine because we knew that she has a really dedicated audience of people who love her work. She has also done some graphic novels, and she’s got stuff on TV. She’s just all over the place, and her fan base or her audience is predominantly female. Like we did some advertising last week and I was surprised, I think it’s about 95% of the people who signed up to our email list were women. TMS: Pixar movies are using the best of technology, but they wouldn’t still be around if they didn’t make great stories too. Jean Leggett: Exactly. And we started doing this two years ago, it was really focused on creating better games for women. And not to say we don’t want guys to play them, but I think that women gamers deserve better than Candy Crush and Farmville. I play Candy Crush and I’ve spent about $100 on it in the past year and half, but at the end of the day, why can’t we have space in the casual game scene for something that’s a little bit more intelligently provoking? Like, why do we have to settle? Why is it one extreme to the next, where you have a game studio that’s put several million dollars into a game, and then you’ve got your indie game developers who are hoping to make a Flappy Birds clone, why can’t we find something in the middle? TMS: How exactly does writing for your platform work? Because it’s a lot different from the traditional studio model, where you have your set team of writers and they all get into a writer’s room and work on whatever projects you’re doing. Jean Leggett: But say you created something with our Story Stylus engine, and it was OK, we wouldn’t even talk to you, you’d just go off and create your thing and share with all your friends and family and fans, and they would play it. However, if it’s really great, we want to see that. And we’ll put that into the marketplace and then we have the royalty system built in there. And then we open it up. So thousands and thousands and thousands of people will hopefully play your game and buy your game. TMS: Oh that’s really interesting. Because it’s sort of like you’re between making Twines and being part of a studio, which is kind of interesting. Do you think that interactive fiction platforms like Inform and Twine have really primed the market more for story-based games? Jean Leggett: I think so. I mean it would be disrespectful of me not to acknowledge the companies that came before us. And I also think that we are, with the development of stuff like Minecraft, this whole idea of encouraging kids to create their own worlds, is perfect timing. It really is. We’ve moved from traditional books to e-books to social media content platform generation, so everybody is creating content on a daily basis whether or not they think about it that way. And so there is this whole idea of you being a creator, and you being a star in your own game. TMS: Since you work more with writers than with game designers, do you find people who aren’t with games have a tendency to experiment a little more with the medium? Because they might be less hemmed in by what a game should look like or what a game should be. Jean Leggett: I would say that the writers have been more open to the concept of what we’re trying to do. But there’s a lot to play around with, for example, how much is too much text. 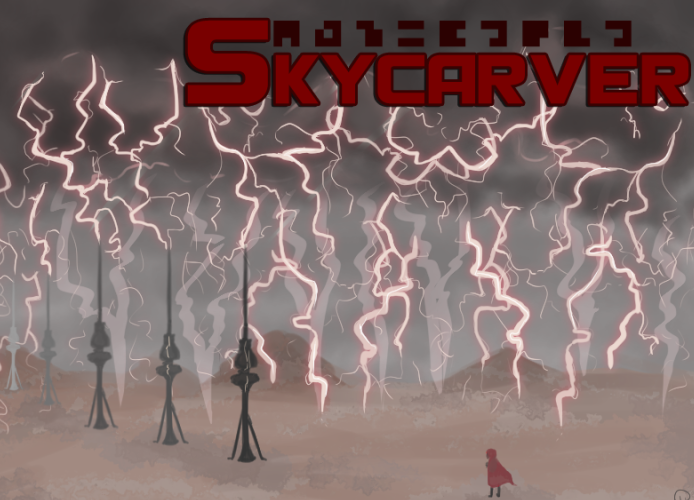 In our game Skycarver there are 13 pages of text before you can get to any interactivity, and there are people out there who really love the story, it’s just not super interactive. 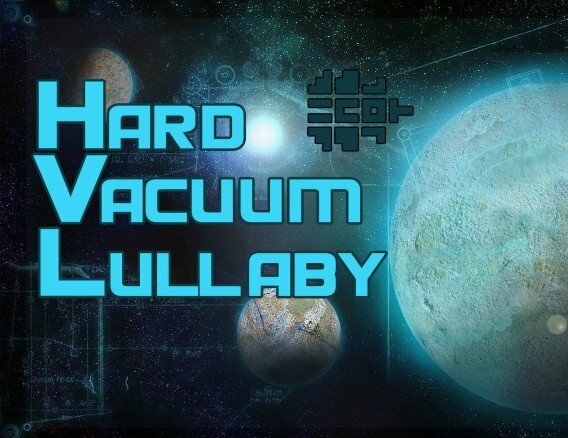 So then with Hard Vacuum Lullaby we tried less text, more action. But ultimately it depends on the storyteller. TMS: Do you make an effort to reach out to minority groups, people who maybe don’t have an opportunity to work in games? Jean Leggett: Yes. We were actually in LA in September and we met some people from a huge writers group from South Africa and we had some people from India who were like, “Can you come and teach people here how to use your software so we can learn how to make storytelling focused games elsewhere?” And so the answer is always yes. I think now that the engine is done people are looking at us and taking us seriously. TMS: That’s great, because game writing is so heavily gatekept, it’s impossible to get into. So I think democratizing it like this is really important. Jean Leggett: Well and who knows? Maybe somebody will turn around say this is a pretty radical concept to democratize game writing, and it’s like, well, why not? Why does one studio have to be the gatekeeper or a handful of studios, why can’t there be more micro-Telltales? You know, I think we live in a world where the technology exists, why not make it available? TMS: And I think that’s why a lot of AAA stuff gets so stale, because it’s always the same people and they might move around studios, but it’s the same dudes, usually white, usually straight. Jean Leggett: Both Skycarver and Hard Vacuum Lullaby have female protagonists, and that is very intentional on our part. We wanted to make sure that we had female protagonists, and when our game writer was creating Skycarver, I was looking at the illustrations and I was like, “Dude, they’re all white! This is not the studio that I want.” So we created some more diversity in that game, and now you can choose one of three female avatars from various race backgrounds. TMS: I noticed you don’t seem to be limiting yourself to one particular genre of game. Is there a particular one that you’ve noticed players seem to be drawn to the most? Jean Leggett: Well we’re just getting going. If you’d seen our site a month ago, you would have seen that it was all mystery themed. And we knew that we were going to have to get rid of that website completely, which we did, but also the writers have told us that they don’t want to be limited to just mysteries. Mysteries do happen to be the most popular genre for social games online, but I want to take that up a notch. But we do want there to be a range of everything from science fiction to mystery to steampunk to romance. TMS: There aren’t a lot of narrative games out for mobile and your platform is available on mobile. It’s starting to change, with companies like Telltale releasing their games on iOS, but the stereotype of narrative games for mobile mostly being badly translated otome games is still pretty true. Was that a conscious decision to go for mobile? Jean Leggett: Oh for sure. To miss out on mobile would be a terrible, terrible business decision for one. Our games are playable via Facebook and also on Android right now. We’re working on getting that onto Mac, but that might be a little while yet. We’ll be getting to the point in the not so different future where people can just download one of our games and all the story branches and play that without a wifi connection, because right now you do need to be connected because it’s currently all through the live server. People want to be able to play the game in bed, on their lunch break, or whatever. While they’re commuting or waiting for a doctor’s appointment. TMS: What are some of your future plans for the studio? Where are you hoping to take One More Story Games over the next couple of years? Jean Leggett: Here’s our vision: to have a handful of high profile, high calibre storytellers for whom we’re doing adaptations. So the Charlaines of the world, because her game is going to be published and sold. For the other writers who have no coding experience and no idea how to get into the app store or anything like that, we want to put their great content alongside Charlaine’s and the other writers, and really boost their profile as well. So we want to create this space where people know and trust us and become a trusted place for storytelling games. Megan Patterson is a freelance writer and the science and tech editor of Paper Droids, a feminist geek culture site. When she’s not writing, you can find her on Twitter, talking about how cute she is or crying over something ridiculous (usually videogames).